2019 marks the 130th anniversary of Epsom Golf Club, founded in 1889, which has a reputation for being one of the friendliest private members clubs in Surrey and has proven to be a popular venue for golf societies for many years. The 18 hole course is unique, offering a wide variety of holes which provide a challenge for golfers of all levels, and is renowned for its undulating year-round greens that test even the smoothest of putters. 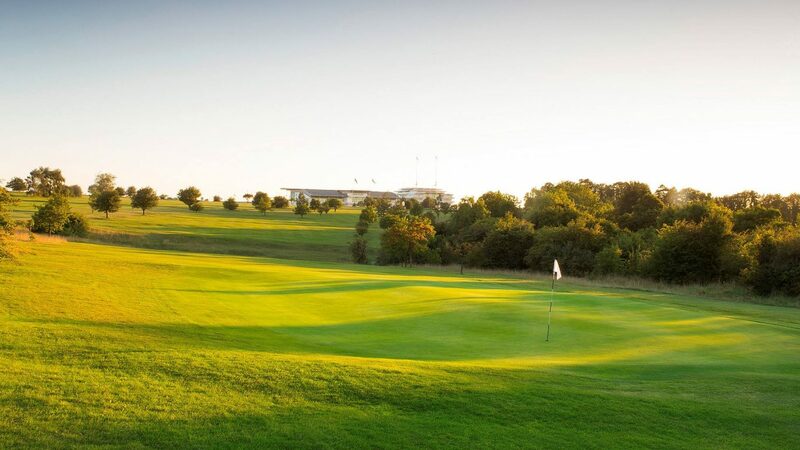 An advantage of Epsom is that the course lies on the top of the North Downs and this brings two benefits: firstly, because the subsoil is chalk, the course is seldom affected by rain, making it a great winter destination and secondly, visitors enjoy stunning panoramic views of London’s iconic skyline. The clubhouse offers an intriguing mixture of the traditional – it happens to be the oldest purpose-built clubhouse in Surrey with a 100 year old snooker room – and the modern – spacious contemporary changing facilities and an indoor coaching studio with a GC2 golf simulator. The club’s catering team ensures a very high level of cuisine providing a wide range of fresh food options. Epsom can offer two alternatives for dining facilities away from the common areas. The club’s Committee Room is ideal for smaller parties whilst the Beamed Room can accommodate more than 70 people and offers fine views over the 18th hole. Traditions are strong at Epsom and one is to warmly welcome all visitors to this traditional members’ golf club. The Vardon includes tea/coffee, a bacon roll and 18 holes. Monday £22.50pp teeing off after 11am; Tue–Thurs £32.50pp; Fri-Sun £37.50pp. Other packages are available, call or visit our website. The organiser of groups over 12 people goes free. From M25, exit at junction 8 (Sutton/Reigate) and take the A217 north towards Sutton. Turn left into A240, follow the signs for the B284 to Epsom Downs. From A3, turn off at Tolworth junction and take the A240 and then the B284 to Epsom Downs. (See map on the club’s website). Holiday Inn Express hotel on edge of course, please contact club for preferential rates. Putting and chipping green, practice net, trolley hire, golf store and PGA coaching studio with golf simulator. Function room’s available, restaurant and bars.